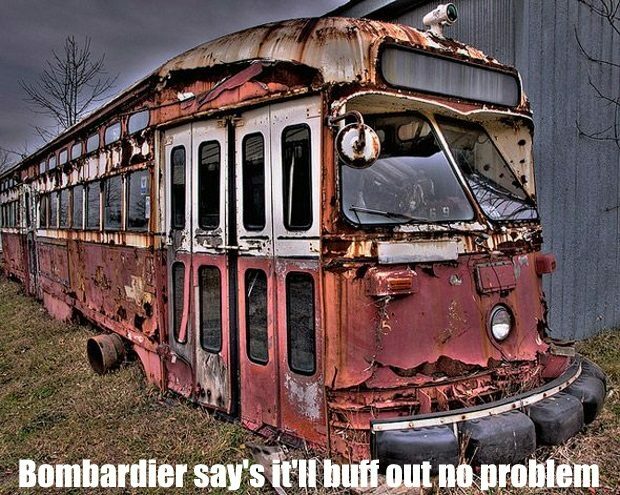 …Under the terms of the $1-billion deal the TTC inked with Bombardier in 2009, the agency’s new low-floor streetcars are supposed to travel 35,000 km before experiencing a significant failure that delays service for five minutes or more. In the first month of 2019 the cars travelled a mean distance of just 7,577 km before exhibiting a problem that delayed service, according to statistics recently published by the TTC. That was almost one-fifth of the target, and roughly half the distance the cars ran in December before experiencing failures.